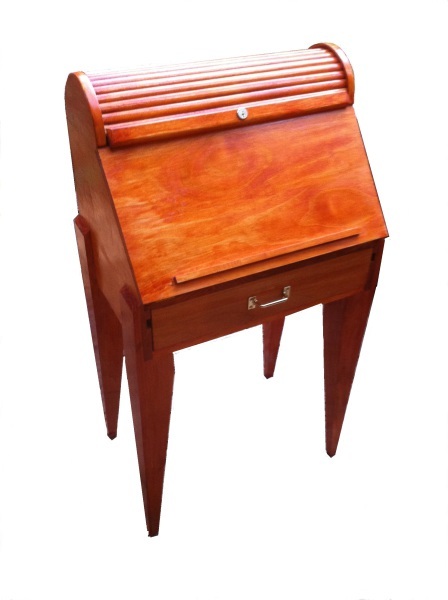 This roll-top desk has a writing surface that folds down and rests on the extended drawer. The back wall of the roll-top desk has as series of printer compartments. It is made with wood recycled by Habitat for Humanity and lumber harvested in renewable growth groves. The Desktop is 30 inches tall. Its width and depth are 18 inches.